Christian Li has been awarded the inaugural Nora Goodridge Scholarship to attend the acclaimed Keshet Eilon International String Mastercourse in Israel this year, the Music & Opera Singers Trust has announced. 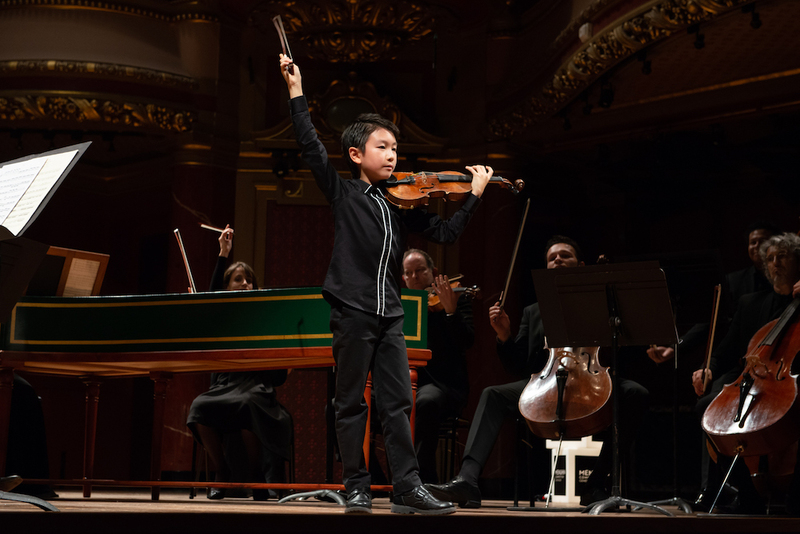 The rising star violinist, who made history last year when he became the youngest ever winner of the Junior First Prize at the 2018 Yehudi Menuhin Violin Competition in Geneva at age ten, will spend three works in Israel working with teachers from around the world, taking part in workshops, performing in concerts, and even taking part in a unique archery program designed especially for violinists. “I hope to attend [the] masterclasses of different teachers and hear different ideas from teachers in different regions on the music interpretation,” he said. Late last year, the Australian Friends of Keshet Eilon held a recital showcasing the talents of the 2018 Young Performer of the Year, Emily Sun, with the aim of raising funds to send a gifted Australian musician to Israel for the masterclass. Thanks to Nora Goodridge, the Friends have been able to establish the Nora Goodridge Scholarship, which will see Li travel to Israel as the first recipient. While this is the first iteration of the Nora Goodridge Scholarship, MOST has had a long relationship with Keshet Eilon and before becoming the administrators of the Young Performers Awards, the organisation offered a prize at the YPA and at the Australian Cello Awards, the Nelly Apt Scholarship, a scholarship for travel, accomodation and fees to and attend the course. Past winners include violinists Lily Higson-Spence, Sophie Rowell and Emily Sun. Digital entry for the rebooted awards, now under the management of the Music & Opera Singers Trust, is open until March 6.